Well done to Year 9 GCSE Drama for their performance "The Support Group" at this year's NOW Festival. 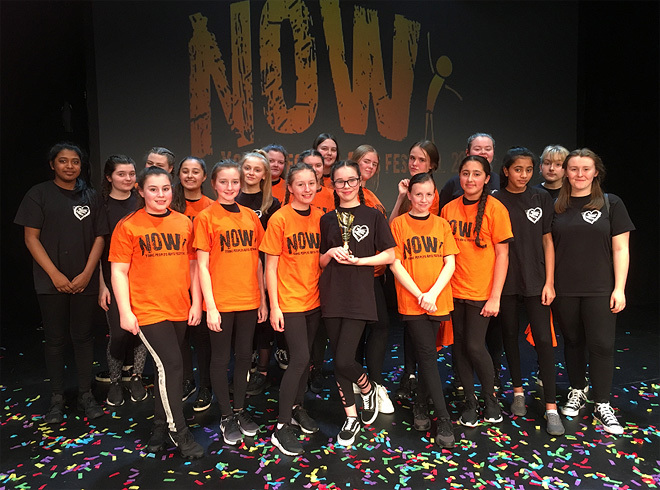 Students performed at the Epstein Theatre as part of the festival along side a number of Primary and Secondary schools across the city. Broughton Hall picked up the trophy for creating a performance which "clearly showed resilience". An excellent evening and super performance, well done!